Golden Globe Race leader Jean-Luc Van Den Heede has opened up a 222-mile lead over his Dutch rival Mark Slats. As the final act of the Golden Globe Race is played out the two are now within the same weather system on the approach to the finish at Les Sables d’Olonne. Slats is currently 330 miles south of Van Den Heede’s upwind position at the start of what could be a straight drag race to the finish. 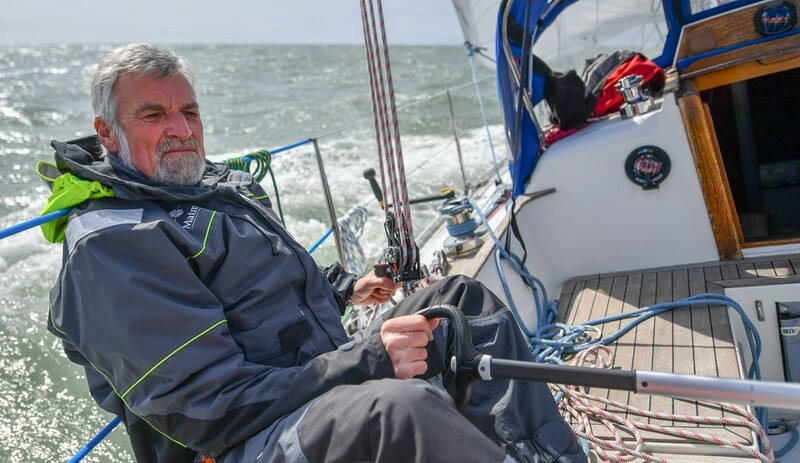 The unknown factor is the forecast – especially for these two skippers, for both have been cut off from weather feeds from the Ham Radio Net community for using unlicensed call signs throughout the Race. This came to light last week when Dutch and St Lucia radio authorities issued warning notices against the skippers. Licenced Ham radio operators who communicate with them not only face losing their licences, but the threat of a large fine and possible prison sentence! Forecasting is particularly acute for Van Den Heede whose Rustler 36 Matmut has the prospect of running straight into another high pressure system predicted to form to the north east by Wednesday. It could affect Slats too, but not before his yacht Ophen Maverick has closed the distance. The question then for Jean-Luc is whether to push hard for the finish and run the risk of breaking Matmut’s damaged mast, or settle for second place. The fact that 3rd placed Estonian Uku Randmaa trails 3,450 miles behind, could well persuade the Frenchman to push all out for a win, knowing that if the worst happens, he could still finish 2nd under a jury rig. ETA in Les Sables d’Olonne for the race leader is now Thursday 31 January 2019.